This blog is part of Operation Groundswell’s feature series on globe-trotters who are living life a little differently. Our Communications & Marketing Director, Justine, is connecting and chatting with these seasoned explorers who are living the values of our Backpacktivist Manifesto. From full life livin’ to respect and humility, these nomads have exceptional stories to tell and even more lessons from the road than their numerous passport stamps could convey. 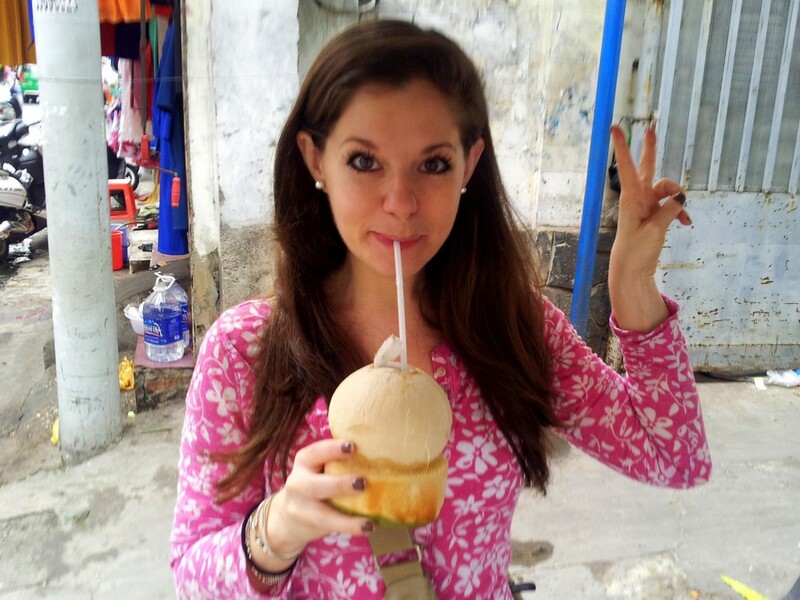 Jodi Ettenberg is a former lawyer who is now traveling and eating her way all around the globe. She is the face behind the extremely popular blog, Legal Nomads, and the handy dandy Food Traveler’s Handbook. She’s followed her taste buds to different corners of the world, connecting with locals and passersby alike through food. 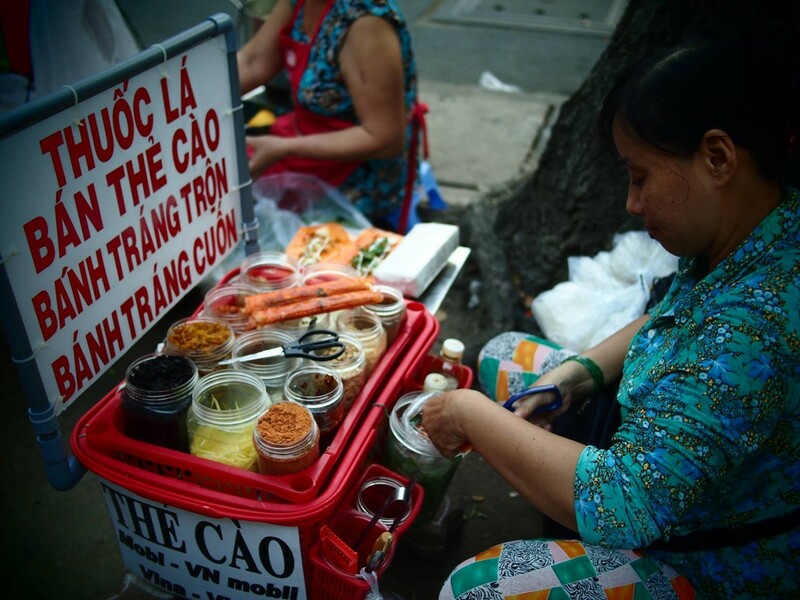 In fact, she’ll be starting her own group food walk in Saigon next year where she’ll show people some of the city’s best street eats while speaking of its culinary history. Her passion for people and food has brought her to where she is today and we were lucky enough to chat with her! Jodi winding down her time in Vietnam by getting in as many coconuts as possible. Currently in Saigon, Vietnam. I came here last winter and fell in love with the city and its food, so I just arrived again to spend some time here once more. Why did you choose to leave your job as a lawyer to travel the world? I honestly just wanted to see the world instead of reading about it. The trip wasn’t an attempt to find myself or to seek a new career; I thought I’d be gone for only a year. But having travelled to exciting places as a lawyer for a few weeks at a time, I wanted to immerse myself more fully, and thought that a sabbatical would be the best way to do so. Little did I know that it would lead to a new career! What was your first travel experience? What exactly is it about life on the road that got you hooked? My first solo travel experience was in France, where I was living to study in 2001. Despite not knowing what it would lead to, I went to the train station and asked for the next train “going somewhere far”, to the general confusion of the lady at the ticket counter. What followed was a great weekend in Annecy and a realization that it felt quite empowering to just head off and explore, even for a short while. As to what got me hooked, I think it is more that travel and food are both excellent ways both to reframe the things that you value in life — for me, that’s learning and exploring and participating in the chaos of elsewhere. Travel also helps you keep life in perspective, which I’ve written about in detail. Why have you continued to keep on exploring even though you only set out to travel for a year? What changed? Nothing specific changed, in that I didn’t have an epiphany or anything that momentous. What happened was that I started to receive freelance offers to write, and I saw how much I truly found exploring and sharing those explorations rewarding. While keeping the blog up (unmonetized) as well as doing freelance work has been a lot more time and effort than I realized, it has been so great to help inspire others to see more, to learn through food and — from a personal level — to keep pushing myself to do the things that are scary. I’m still admitted as a lawyer and I always say one never knows where one will end up. For now, this is a great way for me to keep enjoying what I do, and if that changes I will have no problem modifying accordingly. Life is far more fluid than we like to admit, especially when working with skills that allow you a certain location independence. How did your interest in food come about? What is it about food that is so special (aside from being so delicious)? As I said above, it is more about learning through food than just the food itself. I love to cook and eat, but I value the ability and “in” food gives you to a place’s culture and traditions. It’s universal of course — we’ve all heard this enough — but it’s also the most all-encompassing lens I’ve found to pull in history, culture, family and more, all in one go. When I saw how food can be the tool to learn most about traveling, it married well with my already-existing love of cooking and spices. What is the one “exotic” food that you think everyone should try at least once in their life? I don’t think that exotic foods are what matters. Try everything, watch people locally as they eat it, ask questions. Those “bizarre foods” lists miss the mark, in my opinion — the goal isn’t to get people excited about shocking eats, but rather to explore the quotidian in far away places, and see how even those every day foods take on a magical property when combined with a little history. What are your travel plans now? I’m heading back to Montreal for Christmas time and then back to Vietnam again! I’ll be launching small group food walks here in early January (www.jodieats.com). Essentially, my readers asked me “can we pay you to feed us” and of course I said “why not!” I’m looking forward to sharing some of my favourites from around Saigon. Finally…every year, OG hosts an annual storytelling event for our alumni to relive moments on the road. This year’s theme was “Well…that was a bad idea!” Do you have a story that fits into that? SO MANY OPTIONS TO CHOOSE FROM. I’d say that time I bit into a llama empanana that was cold inside and clearly not cooked all the way through and I thought “hey, I’m really hungry — how bad could it be?” Answer: salmonella, giardia and throwing up for 4 days straight at 5,100 meters in the altiplano of Bolivia. BAD. Read Jodi’s blog, Legal Nomads, or connect with her @legalnomads.